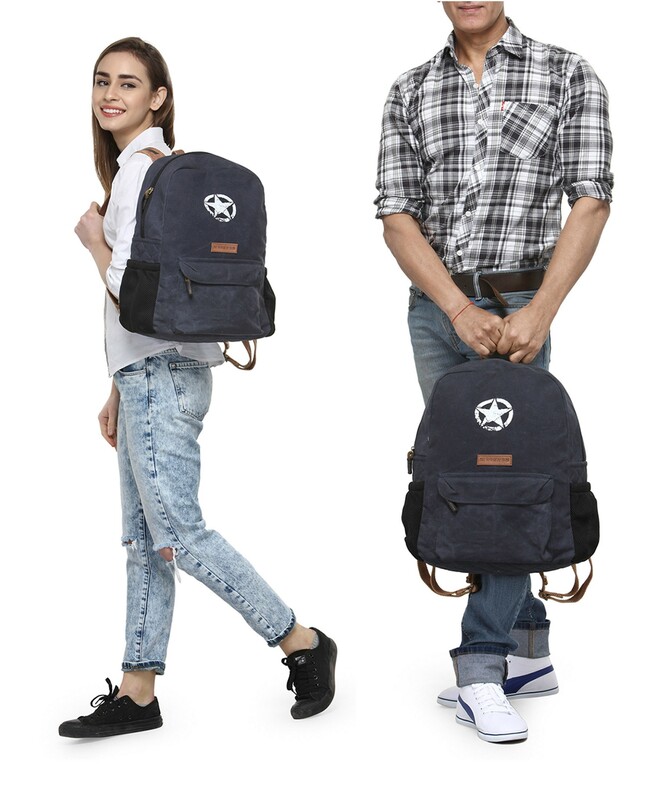 A spacious Laptop backpack made in distress finish heavy duty canvas that can accomodate more than your laptop. 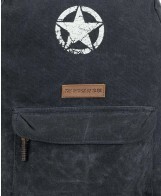 A spacious Laptop backpack made in distress finish heavy duty canvas that can accomodate more than your laptop. 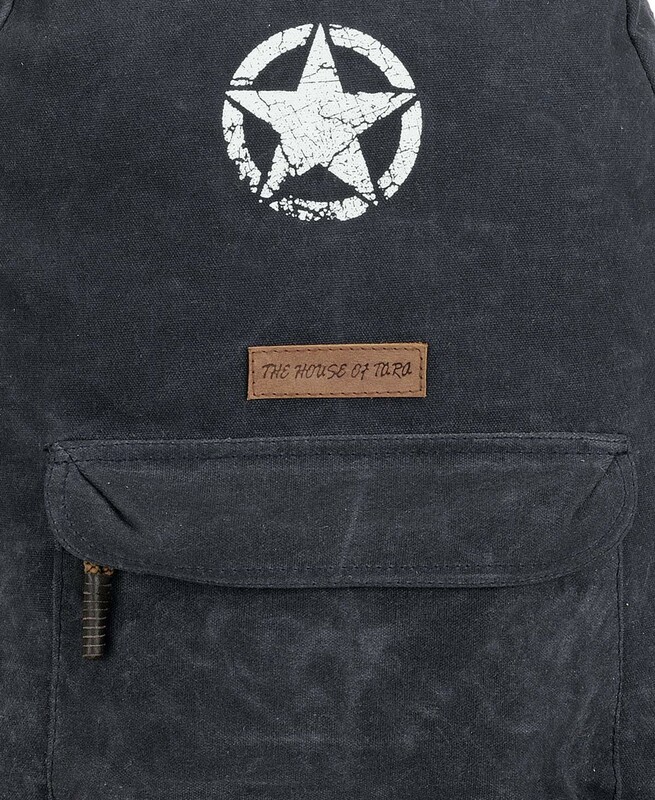 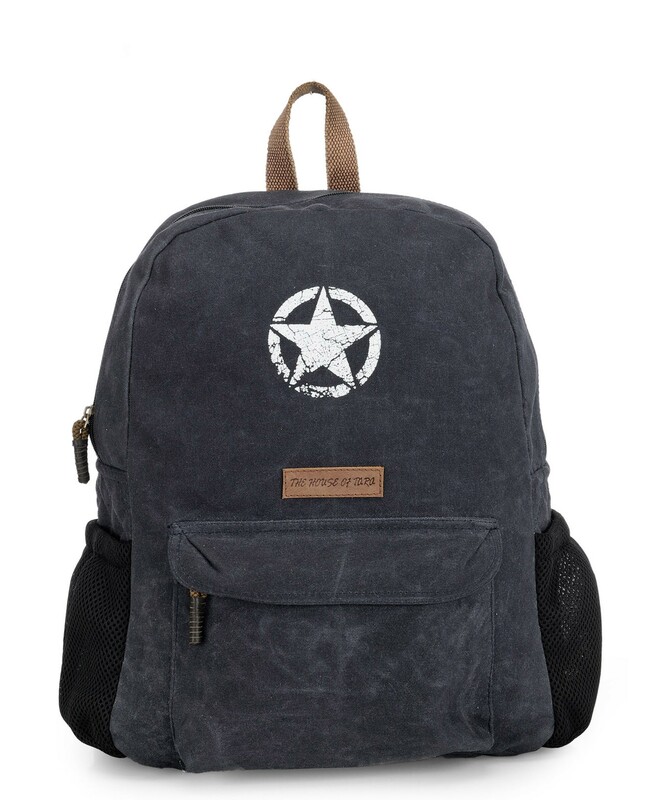 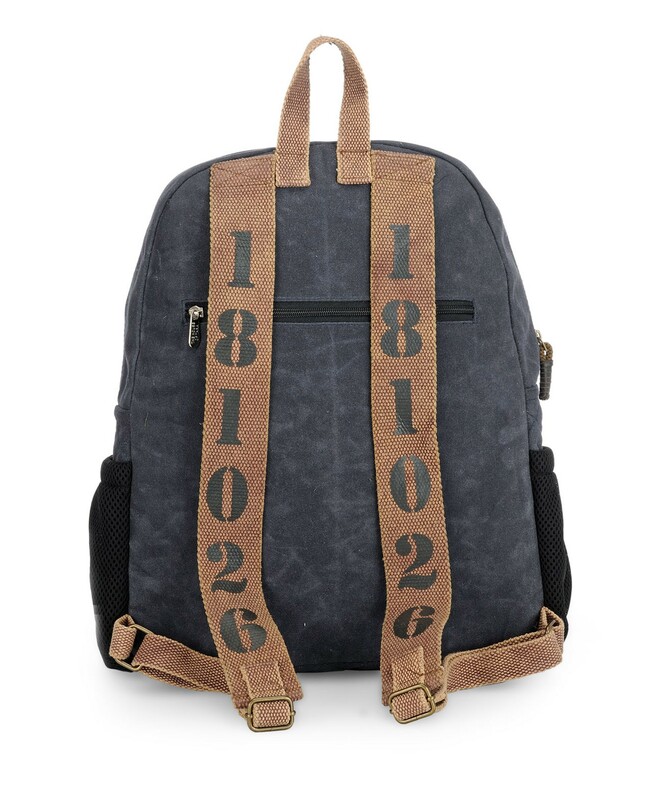 This rugged backpack is embellished with a vintage star and is adequately quilted on the sides and the bottom for extra safety of your laptop. The bag has a big front zip pocket and two side net pockets for your quick access items. 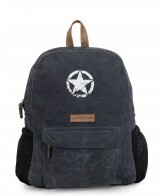 It also has a zip pocket at the back for your important documents. 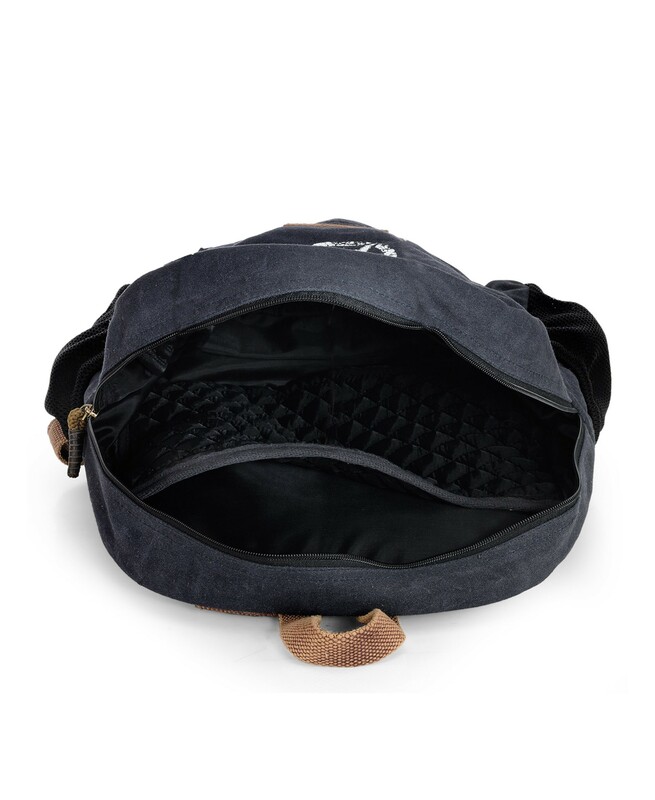 The main compartment has a zip closure. 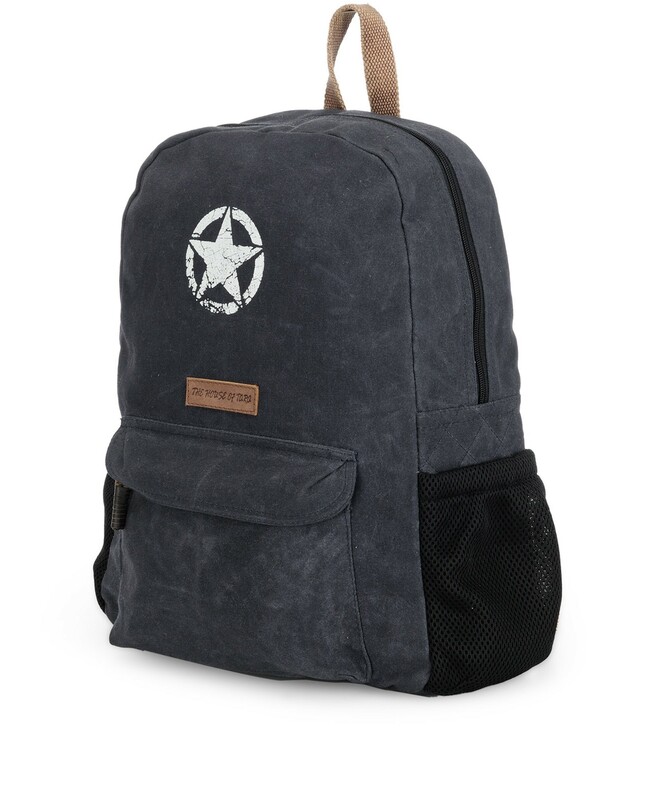 It has a synthetic lining with two patch pockets. 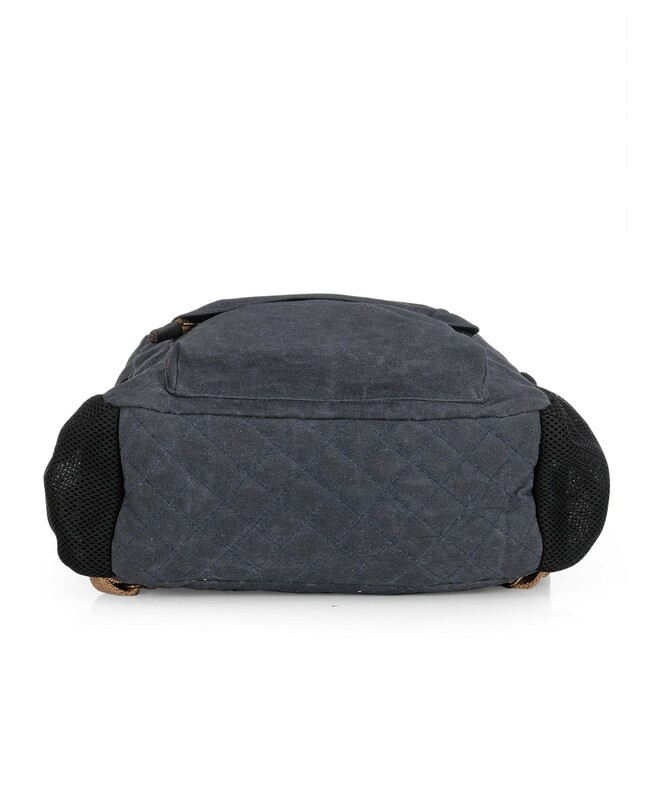 The main compartment has a quilted partition for a snug fit of your laptop. 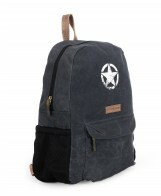 It has wide adjustable straps for ease of carrying. 100% Heavy Duty Cotton Canvas with Synthetic Lining. Zip Closure for main compartment.